After living in a small Ohio town for 20 years, Shawn Dickerson moves to church at 822 Washington St.
After living in a small Ohio town for 20 years, Shawn Dickerson was ready to move to a larger urban area. 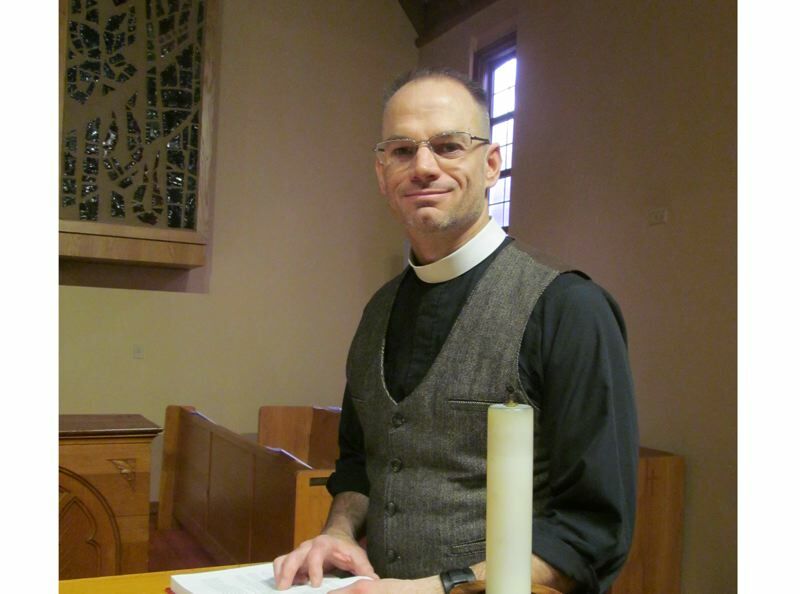 And so, when St. Paul's Episcopal Church in Oregon City offered him the opportunity to become its new priest, he readily accepted and moved westward. Dickerson assumed his new post Jan. 1 and said he is still establishing a routine as he gets up to speed in the parish. Previously, Dickerson served in the U.S. Coast Guard, earning his commission and completing a tour of duty in Kuwait. He was ordained in 2014. An avid gardener, his interests also include home repair and rowing. St. Paul's is one of the oldest Episcopal churches in the diocese, Dickerson said, with deep roots in Oregon City since the 1850s. He likes that the city has a sense of community, is close to the river and the church is near the old, central part of town. The congregation has a "nice mix of vocations and ages and people come from many aspects of the community," Dickerson said. He also appreciates the different political views and diversity of interests in the parish. Currently, Dickerson and the church council are working to set goals, gauging interest in holding a St. Patrick's Day dinner and planning Easter services. Dickerson said he appreciates all the outreach programs sponsored by St. Paul's, particularly the free community dinner at 5 p.m. on Thursdays that is open to all. Another favorite is the Backpack Buddies program, which provides food for needy students. Dickerson said that members of the congregation have an interest in pastoral care, which includes staying in contact with people in successive stages of their lives. St. Paul's also has a youth group with students who have been together several years. He added, "I want to continue to strengthen that program and find other opportunities for them to participate in the parish." St. Paul's Episcopal Church, 822 Washington St., Oregon City. Call: 503-656-9842 or visit: stpaulsoregoncity.org.